Yellowstone Archives | Hennebery Eddy Architects, Inc.
Hennebery Eddy Architects welcomed two staff members to the firm this summer, deepening its sustainable design, architectural and building information management (BIM) capabilities. Samantha Bennett, AIA, joined the firm as a project architect, bringing high- and mid-rise multifamily housing, student housing, commercial, and mixed-used project experience, with specialized expertise as a Certified Passive House Consultant. She previously worked as an energy analyst, modeling energy savings and providing technical leadership and support for commercial energy efficiency projects. Sam applies a unique perspective on whole building design and sustainability to her Hennebery Eddy projects, which include rehabilitation of an historic dormitory in Mammoth, Wyo., and a new maintenance facility in the Lake Historic District in Yellowstone National Park. Sam is a LEED Green Associate and earned a Bachelor of Architecture from the University of Oregon. Abby Short joined Hennebery Eddy as a member of the firm’s design staff, applying significant BIM knowledge to the Portland International Airport Concourse E Extension project. Abby specializes in coordinating design models and drawings and working with project teams on Revit implementation. She is a LEED accredited professional and earned a Bachelor of Science in Architecture from Ball State University and a Master of Architecture at Portland State University. The firm also announces the promotion of Amber Nobe to marketing manager. Since joining Hennebery Eddy in 2016 as senior marketing coordinator, she has managed proposal and qualifications package development, marketing content and the marketing database, as well as the firm’s website. She is also a member of the firm’s sustainability committee, promoting a net-positive design approach. Amber has a Bachelor of Arts in mass communication from Linfield College. Hennebery Eddy is pleased to share that it has received an Architecture 2030 Award from AIA Portland for the design of Yellowstone National Park Youth Campus. The project is pursuing both the Living Building Challenge Certification and Passive House Certification. These complementary certifications are based on actual performance and provide an organizational framework for tracking and ensuring the highest standard of design, detailing, construction, and operations. Upon completion, the project would be the first in a national park to achieve both certifications. The new Yellowstone Youth Campus is aspirational in seeking to set a new standard for design and sustainability within our national parks. 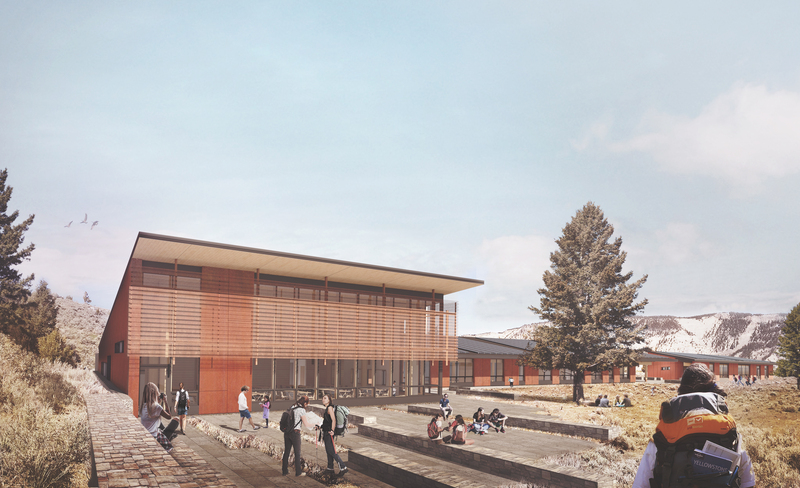 Rendering of the back of the commons building, one of 10 buildings on the campus of the Yellowstone National Park Youth Campus. Image copyright Hennebery Eddy Architects. Beyond achieving the programmatic goals of growing youth programs, the campus will serve as both a teaching tool and a gateway to Yellowstone National Park for youth nationwide. The campus – comprising 10 buildings – will serve as the future home for multiple youth programs currently operating in Yellowstone. Inspired by the dramatic landscape and rich cultural history of the region, campus buildings reflect a contemporary expression of vernacular architecture of the West. This award is one of a series of accolades Hennebery Eddy has received for its sustainable design work; it has received a AIA COTE Top Ten Award and three other 2030 Challenge design awards. The 2017 AIA Portland Architecture Award is sponsored by BetterBricks. Design intern Peter Harrison joined Hennebery Eddy Architects this summer from Utah State University, where he is earning a Bachelors of Interior Design. Passionate about sustainable design, he plans to relocate to Portland, Ore., after graduation. 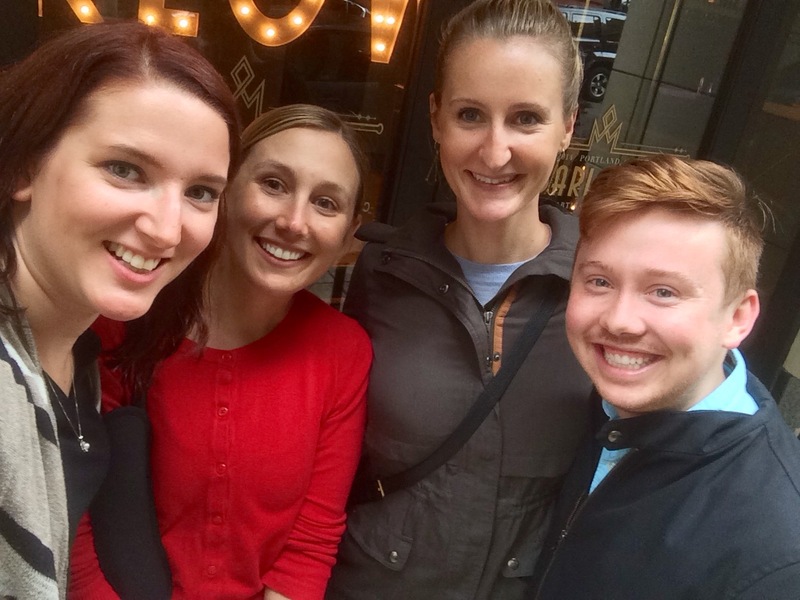 Below, he shares his path to studying interior design and highlights from his internship. I’ve grown up with a strong passion for design and sustainability, which led me to explore the field of architecture and design. During high school, I took an internship course where I shadowed architects, marketers, landscape architects, and interior designers at MHTN Architects in Salt Lake City, Utah. This experience confirmed my desire to pursue a design degree and attend the highly acclaimed interior design program at Utah State University. At Utah State, I have gained a wide variety of skills, both design and technical. My coursework has included commercial and residential design, materials, Revit and AutoCAD, architectural systems and code knowledge, sustainable design, as well as a strong emphasis on the fundamental principles and elements of design. I expanded my understanding of sustainable design by participating in the Utah State student chapter of the U.S. Green Building Council. One of the requirements for my program is that I gain professional field experience by completing an internship between my junior and senior year. Since I care deeply about sustainable design, I applied for internships in Portland, Oregon, a natural choice for this market sector. I knew I wanted to be at a mid-sized commercial architectural firm where I could see myself working after graduating.